Compensation for this post was provided to AOL by Cobblestone Bread Co.™ and Big Green Egg® via AOL Media. The opinions expressed herein are those of the author and are not indicative of the opinions or positions of Cobblestone Bread Co.™, Big Green Egg®, or AOL. This post was processed and edited by AOL. The upgraded grill was purchased by grilling24x7. It’s officially grilling season and now is the time to fire up those grills to serve our friends and family some amazing food. 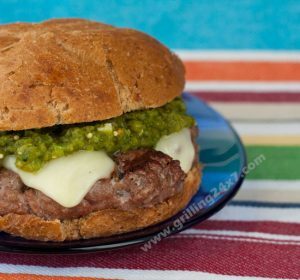 One of the most important aspects when serving a sandwich is that you have a top quality roll, so AOL has teamed up with Cobblestone Bread Co.™ and Big Green Egg© to create this post on how to make Grilled Italian Meatloaf sandwiches. 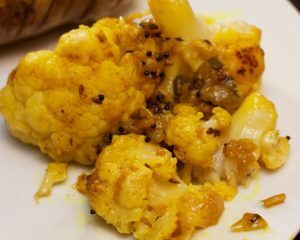 What’s key to this recipe is serving it on a really good roll. I chose the Cobblestone Bread Co.™ Toasted Onion Roll, which is a fresh, soft and sturdy roll that can handle even the heartiest of sandwiches, such as this one. Let’s get started. 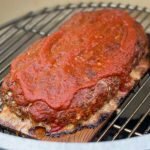 Grilling meatloaf is actually really easy, as long as you monitor temperature and don’t overcook it. The basic idea is that you lightly mix together all of the ingredients and form the meatloaf on a grilling plank. Then place the meatloaf and plank over medium direct heat and cook it just like an oven. The grilling plank will impart a mild smoky flavor to the meatloaf. Today I’m using my Big Green Egg©, which is an absolutely incredible grill. The key to any meatloaf recipe is that when you are mixing the ingredients, do so carefully. If you pack it together hard you’ll end up with a hard meatloaf. You want the loaf to be very tender. Add all of the ingredients into a large mixing bowl and lightly mix. Follow the instructions on your grilling plank and if it suggests soaking in water, place it on a baking sheet filled with water for the suggested amount of time. This will reduce flare ups. This isn’t too much of a problem on the Big Green Egg©, as the cooking grate is far enough away from the heat to not catch fire. Form the meatloaf on the grilling plank and let it rest for a few minutes. Meanwhile, light the Big Green Egg© for a medium heat (about 350 degrees F). This grill is very easy to target temperature with, as you simply adjust the air intakes and rather quickly the grill changes temperature and holds steady. Put a digital thermometer deep in the center of the meatloaf, you’ll want to cook the meatloaf until about 165 degrees F, which will take about 1.5-2 hours, depending on how thick your meatloaf is and how hot your grill is. After about an hour go out with some additional tomato sauce and brush it all over the top of the meatloaf. Repeat every 15-20 minutes until a nice tomato glaze has formed on the top. Once the meatloaf is finished, let it rest and cool a bit. While the grill is still hot, take the Cobblestone Bread Co.™ Toasted Onion Rolls to the grill and lightly grill them for about 30 seconds to get warm. 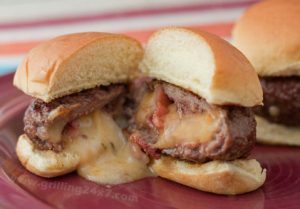 Slice the meatloaf thick and assemble the sandwich by placing the meatloaf on the roll and topping it with a slice of mozzarella cheese. The Cobblestone Bread Co.™ Toasted Onion Rolls work great for this recipe because they are sturdy rolls that can handle such a hearty sandwich. Fantastic! These should be the “go to” rolls for any summer cookout. An easy recipe for grilled Italian meatloaf sandwiches. Lightly mix the ingredients together in a large bowl. Form the meatloaf on a grilling plank. The meatloaf is cooked when the meat registers 165 degrees F in the center. Serve on a Cobblestone Bread Co (TM) Toasted Onion Roll and melt mozzarella cheese over top.